It's been 20 years since Aamir Khan's Raakh released in theatres. Fresh after the release of his blockbuster hit Qayamat Se Qayamat Tak, audiences couldn't quite relate to Aamir's dark character in Raakh. The film didn't do well but it was lapped up by most critics. Its director Aditya Bhattacharya was one of the youngest directors of his time at 23 years, and born in one of the great film families. His grandfather was legendary director Bimal Roy and father was another noted director Basu Bhattarcharya. But despite this, Aditya has directed only four films thus far. He tells Patcy N about his journey from photo-journalism to acting, writing, direction and production. He also talks about Raakh -- all set to re-release on June 12 -- and why Aamir never wanted to be an actor. You come from such an illustrious family but audiences barely know you. Tell us about yourself. I never went to college. When you come from a family of filmmakers -- where everybody has broken the mould -- it becomes difficult to tell the eldest son of the family to complete his studies. I started earning at the age of 18. I acted in theatre and films like Mandi and Rihaee. I worked as a photo journalist as well. Was acting an obvious step since you came from a filmi family? Shyam babu [Benegal] saw me with Sanjana [Kapoor, Aditya's former wife] and insisted that I do Mandi. He felt I fit the role of Smita Patil's boyfriend in the film. A lot of people advised him against it since I hadn't acted before. But he believed in me. But I didn't see film as a career then. You go back a long way with Aamir. 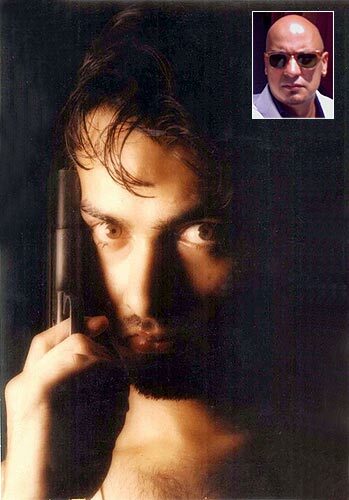 Aamir had done only one film before Raakh, called Holi. We had started shooting for Raakh before QSQT but the latter released first. Aamir and me were classmates in school. In 1983, we had done a short film called Paranoia. We -- along with Mansoor Khan -- also had a band together. So we were good friends. He did not want to be an actor -- he was quite confused about what he wanted to do in life. Some people had their doubts about him, as he was short and had big ears. He was not star material. But I had absolute faith in him. 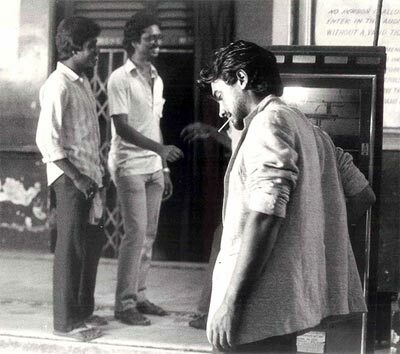 Raakh was Santosh Sivan's first film as a cinematographer too. How did you manage to convince producers to back this film? You should ask these people why they believed in me. Santosh had made some low budget films in the South. The film editor Sreekar Parsad had never done a film before. Aamir had just done Holi. Asif Noor had also never produced a film before. Pankaj Kapoor was the only big star in my film. He was the only one who had done films and television earlier. In fact, I had done the pictures for Karamchand when I was a photo journalist. Why did you leave India and go to Rome despite a promising career here? Different people want different things in life. I never dreamt of being famous in Bollywood. I wanted to make films that would make my father and grandfather proud. 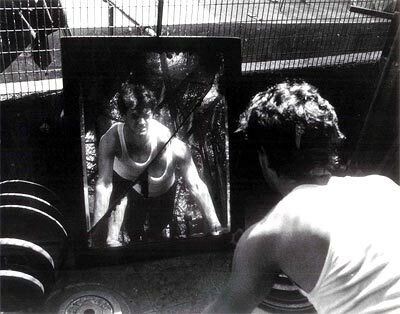 It was important for me to prove to myself that I was capable of making a film at 24. So when I made Raakh, I did prove myself. But when I looked at my grandfather's life and my father's growth -- how they came from other cities and struggled and made their place here -- I felt I hadn't done anything close to that. That kind of life experience and struggle makes you a better person and a better story-teller. I needed to go and get my own life. Till then, I was living in Bandra's Carter Road in Mumbai, making a film, having a beautiful girlfriend, everything was good. It may sound strange but I wanted to make life difficult for myself. If you see Raakh, you will know I was not in Bollywood to make it big. So I went to Italy the next year and did odd jobs like being a waiter and later, a chef. I also did live editing of television shows in Sicily, a music video for an Italian band, ramp photography... I never called home for help. But why leave behind such a promising career here? In India, if an actor gives 12 flops, he will still get films as he is a star son. This does not happen anywhere else in the world. I find it disgusting. My father and grandfather struggled to make it big. The basic reason for their success was all that they went through. I always feared that I would become a useless guy if I did not struggle and earned things myself. So I went to Italy. It took me seven years to raise money to make a film. Going through everything there was important for me to become a fuller human being and a better filmmaker. I was on my way to London, when I had a stopover in Italy for a week. I really liked the place and the people. So I thought it would be nice to write a story there. After making some money, I made a Italian film called Senso Unico in a place called Messina in Italy. No one had ever shot a film there. I fell in love with that place. To make a film in Italian language, in a place I didn't know, to raise a lot of money and get a producer from London was a big thing for me. I was 31 years old then. No. When I see people of my age in the industry and what they are doing, I feel happy with what I did. Sometimes I wish I had done more films. I had some projects that did not take off. After Raakh, I did a film called Tapori with Mahendra Joshi [married to Aamir's sister]. He died of a heart attack midway. He was a brilliant theatre person. I didn't want to do anything for a while, and maybe that's why I left India. After my Italian film, I did projects in India but they didn't take off -- like Lucky Ali's Avtaar, Anubhav Sinha's film that I was going to produce... But I have no regrets. I have made films which have been appreciated. I have two beautiful kids. I have two homes in two parts of the world. And I have respect from my contemporaries. 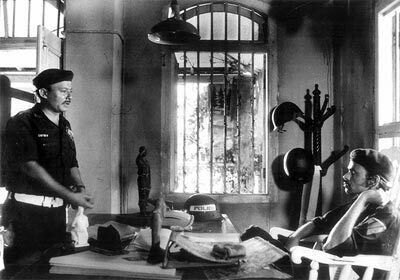 Any memories on the sets of Bimal Roy's and Basu Bhattacharya's films? I never got a chance to spent time with my grandfather. In fact, my first childhood memory is my grandfather's death. I was three years old. I have few memories with my father too, as I've travelled a lot. I did not expect him to die in 1997. That's the only regret I have -- I wasn't there when he needed me and didn't spend enough time with him. My father never shot his films on sets. He would shoot on real locations. Which means, he shot at home. So I would be in the middle of the shoot all the time. Anubhav, Avishkaar, Griha Pravesh and Aastha were shot inside our homes. I have worked with him in only on one film called Panchvati. It was shot in Nepal. My favourite films have been Fellini's Eight and A Half, Teesri Kasam and all my grandfather's films. I want to get back to direction. My film Dubai Return will release soon hopefully. I have 11 stories ready, of which I will produce three. I'm preparing to shoot one in Kolkata soon. These married women can act!